Meet the Patriarch, kill the Patriarch! Meet the Buddha, kill the Buddha! Lin Chi proposed this paradoxical axiom as a koan — a statement uttered suddenly by a Ch'an (Zen) master to confound and frustrate the most serious students, shaking them loose of their attachments to conventional knowledge and experience. This koan warns spiritual aspirants against dependency on any support, including a teacher, that does not promote true insight, psychological depth, and self-responsibility. Its intended result was satori — enlightenment. In the West, however, Lin Chi's famous koan is often invoked to justify independence from the teacher, as if the teacher, not the student, were the obstruction to enlightenment. We so prize our egalitarian spirit and independence, it is not surprising that the ancient wisdom-traditions of the East would be interpreted to accommodate them, even when it comes to religions and spiritual practice. But there is another ancient adage: He who has himself for a master has a fool for a disciple. Like it or not, real practice demands conscious, deliberate submission to the teacher, and to all the offenses to the ego that are inherent in the teacher-disciple relationship. To the dismay of many Western aspirants, such a relationship is patently not a democratic institution. And though it may be a hard pill to swallow, it is the master, not the aspirant, who provides effective spiritual guidance. Always choose a master wisely, but by all means, be wise and choose a master! It wasn't presumed in the ancient days that it was up to each individual to find out — by his or her own most extraordinary effort—what the structure of Reality is and how to function within it. That seems these days to be a commonplace presumption. Anciently it was presumed that in any age, if you have any interest in realizing anything more than the mayhem of your own suffering, you must go and find a true Realizer. Try very hard to find such a One. And when you have found such a One, throw yourself at His Feet and take His Instruction — because that One enjoys the capability to lead others through the entire ordeal of Divine Spiritual Realization. 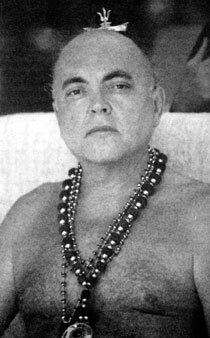 When I first came to Avatar Adi Da Samraj some three decades ago, I was a brash adolescent who had wandered too long in my own illusions about higher "spiritual" things. I certainly did come to Avatar Adi Da for enlightenment, and for his acknowledgement of my worthy preparedness. But I was soon to learn that, contrary to my own naiveté and presumptuousness at the time, true spiritual practice is a profoundly serious matter and a lifelong endeavor. Perhaps the primary lesson I learned in the earliest years of my involvement with Avatar Adi Da is that an authentic master cannot be approached with anything like the mindset of a Western consumer. True humility and surrender are required from the outset, and remain absolutely essential throughout the spiritual course. Let me give a telling example from my own experience. It occurred at a small gathering of students late one night in 1995. At one point Avatar Adi Da turned to me and asked about my practice of celibacy, which I had recently disavowed in favor of an intimate relationship with a beautiful young woman. He wanted me to consider how I could so casually abandon a discipline of this kind without first considering its full implications for my spiritual practice. Wasn't it true that I was being driven only by my emotional/sexual impulses? Had I given any consideration to whether such a choice was compatible with my more fundamental impulse to spiritual maturity and divine self-realization? Being confronted so directly left me befuddled and defensive. I managed to mumble a half-hearted justification, but in mid-sentence, he sat bolt upright and glared at me with fire in his eyes. He extended an arm full-length, pointed a finger at me, and roared, "COSTABILE, YOU ARE A LIAR!" Everyone in the room was stunned at the enormity of his shout. A devotee sitting next to me, a former Israeli soldier, likened the impact to getting hit in the chest with a Howitzer. I bowed my head in respectful humility, but I was shaking from the force of it all, and hastily left the gathering, fearing I would vomit. I returned an hour later, still reeling and confused by the entire exchange, and took a seat—this time against a supporting wall. (Others later reported that I literally looked green.) Avatar Adi Da acknowledged my return with an approving nod and smile, "So you've decided to rejoin us, have you, Costabile?" As the days passed, I could feel myself withdrawing from him in indignation and self-defense. I indulged feelings of resentment and a host of other bitter emotions. But eventually it became clear that he had given me the opportunity to understand and transcend a deep and uninspected emotional pattern. I saw how conveniently I would hide or bend the truth, or even lie outright, rather than lose face. Difficult as this realization was to accept, to become responsible for this pattern was absolutely essential for my own integrity as a man. Using the skillful means of a true master, Avatar Adi Da was helping me overcome a limitation in myself, thereby enabling me to move on in the spiritual course with greater clarity and integrity. This understanding restored my devotion and faith in him. Several nights later, I approached him at his chair and offered a poem I had written in praise of him. He smiled at me, and as I knelt before him he slowly read every word. When he finished he reached out his immense arms to me. I embraced him with all my heart and strength, exclaiming my love for him and receiving his in return. I really don't think he gave a damn about the poem. It was my understanding of the lesson and my willingness to express our mutual love and understanding that he was responding to. We were bonded together at a feeling depth more profound than ordinary human love could ever touch. "The compassionate Master does not do for others everything He can do within the bounds of propriety. The compassionate Master will do everything, whether in the realm of propriety or not, for the sake of Awakening others." The issue of spiritual authority, especially as it is vested in gurus and masters by their disciples, is a complicated one in our time. Much has been made of the pitfalls and abuses of this relationship, and clearly there have been faults on both sides. Nevertheless, the cornerstone of spiritual wisdom is the humble acknowledgement that an adept master is indispensable to our awakening to divine truth. May all earnest seekers be graced to find a master who embodies such reckless compassion and regard for their enlightenment.